Nepal’s new Prime Minister Khagda Prasad Sharma Oli, who assumed office for the second time in mid-February, is on a very strong wicket this time. Having won the mandatory motion of confidence by a three-fourth majority in the new House of Representatives after taking over as Prime Minister, Oli is sure-footed and confident this time, unlike the last when he headed an unstable coalition and was voted out after 10 months in office. In fact, Oli’s is the first stable government in Nepal after 60 long years – the last was B P Koirala-led Nepali Congress government that won the elections decisively in 1959. Since then, Nepal has seen 40 governments in 60 years. BAGRAM AIR BASE, Afghanistan (AP) — The Afghan capital is now the main focus of the anti-Taliban fight, with U.S. special forces conducting raids in the sprawling city and additional American military advisers arriving to help beleaguered local police, the top U.S. commander in Afghanistan said Wednesday. “We’ve increased the number of special operations we’re doing in and around the city to target the networks that are attacking the city,” Gen. John Nicholson said in an interview with a small group of reporters. “So Kabul is our main effort right now.” He said the Afghan government has replaced the top five police officials in each district inside Kabul as part of a plan to more effectively counter the militants. Last year, with more than $1 billion in debt to China, Sri Lanka handed over a port to companies owned by the Chinese government. Now Djibouti, home to the US military’s main base in Africa, looks about tocede control of another key port to a Beijing-linked company, and the US is not happy about it. Beijing “encourages dependency using opaque contracts, predatory loan practices, and corrupt deals that mire nations in debt and undercut their sovereignty, denying them their long-term, self-sustaining growth,” said US Secretary of State Rex Tillerson on March 6. “Chinese investment does have the potential to address Africa’s infrastructure gap, but its approach has led to mounting debt and few, if any, jobs in most countries,” he added. News that the Chinese government was preparing to remove constitutional term limits on President Xi Jinping shocked most Chinese. Many worry that an unlimited term of office will lead to unlimited power and increased restrictions on individual liberty. Will President Xi become a Chinese version of Russia’s President Putin? Will Xi become another Mao Zedong-style dictator? Or is it even possible that Xi would proclaim himself emperor? News that the Chinese government was preparing to remove constitutional term limits on President Xi Jinping shocked most Chinese. Many worry that an unlimited term of office will lead to unlimited power and increased restrictions on individual liberty. Will President Xi become a Chinese version of Russia’s President Putin? Will Xi become another Mao Zedong-style dictator? Or is it even possible that Xi would proclaim himself emperor? Due to internet censorship in China, people cannot express their opposition publicly so they still use insinuations and sarcasm to voice their opinions. Some of them even use the story of the failed monarchy restoration of the first President of the Republic of China, Yuan Shikai, in 1916. The Chinese Communist Party (CCP) is the founding and ruling political party of modern China, boasting nearly ninety million members. In 2017, the CCP exalted President Xi Jinping and elevated new officials to support Xi in setting the agenda for the second-largest economy in the world. The party has maintained a political monopoly since its founding, despite the effects of China’s rapid economic growth, increasing social unrest, and political destabilization that challenge the country’s rise as a global power. A spate of political and corruption scandals has also exposed deep power struggles inside the infamously opaque organization. Nevertheless, through the course of Xi’s first term in power, he has taken drastic action to not only consolidate his hold on power via party levers, but experts say he has also positioned himself to become the most influential Chinese leader since Mao Zedong. KUALA LUMPUR (BERNAMA) - Malaysia has arrested a total of 249 local and foreign individuals suspected of recruiting members for terrorism through social media so far, Deputy Home Minister Masir Kujat said on Tuesday (March 13). Datuk Masir said 240 of them carried out their modus operandi through Facebook, eight through Twitter and another one through Instagram. “The arrests were made as a result of police intelligence and monitoring by the Counter Messaging Centre,” he told Parliament during a sitting on Tuesday. Mr Masir was responding to a question from a Barisan Nasional lawmaker on the government’s efforts to curb the spread of terrorism on social media. Eastern Ghouta is burning. In the region just east of Damascus, thousands of civilians are dying as Syrian government forces crush the remaining rebels. The U.N. Security Council ceasefire passed on March 3rd was dead on arrival. With no enforcement mechanism or means to hold Syrian President Bashar al-Assad accountable, pro-Assad forces continue to shell the area with impunity. A ground offensive has ramped up, and a monitoring group has reported chemical attack in East Ghouta. Russia, which is the Syrian regime’s principal backer and arms supplier, proposed a humanitarian “pause” from 8 a.m. to 2 p.m. daily, with a “humanitarian corridor” for civilians to flee the besieged areas. But the fighting simply rages on. The fundamental problem for Britain has always been continental Europe. The danger to Britain was that a single, powerful entity would arise that could do two things. First, it could ally with the Scottish elite to wage war against England on land. Second, it could build a naval force that could defeat the British navy and land an invading force along the English shore of the Channel. The Romans did this, as did the Normans. Successive powers arose in Europe that saw an opportunity to defeat England and later Britain. The Spaniards attempted an invasion in the 16th century; the French in the 19th century; the Germans in the 20th century. Each was defeated by treacherous waters and the Royal Navy. Fourteen months into his term, President Donald Trump is reshaping America’s two largest intelligence agencies, both of them facing internal troubles and a cascade of global threats. Trump on Tuesday tapped CIA Director Mike Pompeo to become secretary of state, and elevated Pompeo’s deputy, Gina Haspel, to become the agency’s first-ever female director. Later this spring, the top-secret National Security Agency will also get a new director. Both agencies have been, at times, vilified by Trump, and faced a series of leaks and disclosures in recent years that have battered morale. Yet for all of Trump’s complaints, he has chosen insiders rather than bomb-throwers to take their helms, signaling a muscular — but not disruptive — approach to intelligence gathering. President Donald Trump’s decision to fire the top U.S. diplomat sent a wave of hope through a department battered by low morale under Tillerson, who dismissed the expertise of career diplomats and sought to downsize the department. “There is strong sense of relief at State. The last year has been traumatic to put it mildly. It was as though ‘T-Rex’ stomped through Foggy Bottom devouring staff and structures,” said Brett Bruen, a former State Department official. Several current State officials said they also hope to bid farewell to Tillerson’s top aides, including chief of staff Margaret Peterlin and policy chief Brian Hook, whom they criticize for forming a protective and secretive clique around the secretary during his nearly 14-month tenure. ROME — Henry Kissinger, the quintessential realist, once provocatively asked “Who do I call if I want to call Europe?” Last week, Federica Mogherini, the EU’s foreign policy chief, reassured the world that Europe’s number — hers — is up and running. Then, she threw the question back across the Atlantic: “Who do I call if I want to talk to the U.S.?” Mogherini posed the question with a touch of irony, but it acquired a sober taste on Tuesday, as U.S. Secretary of State Rex Tillerson was fired and replaced by CIA Director Mike Pompeo in what is starting look like an incessant game of musical chairs in the chaotic Trump administration. Donald Trump is right about North Korea, of course. It never made sense for the US to launch a “bloody nose” military strike against Kim Jong Un’s isolated country without having tried diplomacy first. America and North Korea were on a collision course to war. A unilateral US attack, which had been considered seriously in Washington for months, would have brought with it incalculable risks. The powerful North Korean military would probably have struck back. China might have intervened to defend its border, producing a potential stand-off between Beijing and Washington. US military leaders predicted such a clash would cause tens of thousands of casualties in both South and North Korea. It could have been catastrophic for Mr Trump to choose war before talks on a bitterly divided Korean peninsula. 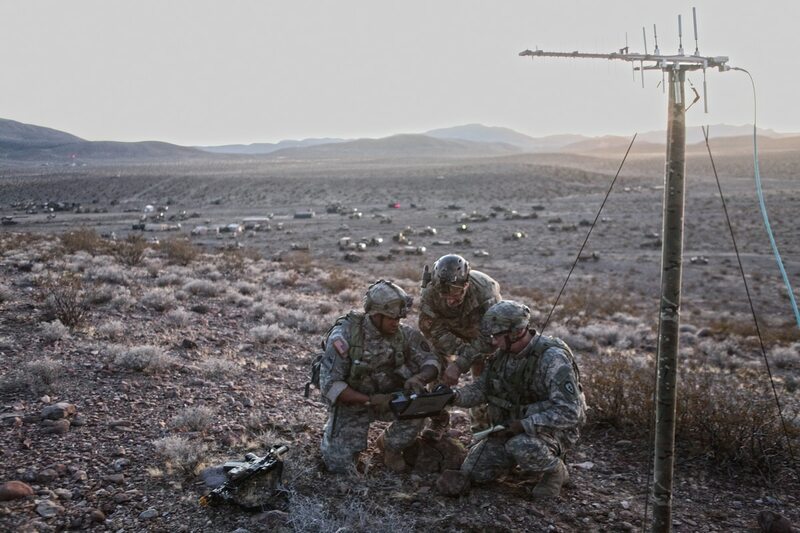 In this series of articles running from mid-March to July, RealClearPolitics and RealClearDefense take an in-depth look at the intersection of cybersecurity, technology, and warfare in the 21st century. On the morning of September 11, 2001, Leon Panetta was testifying to a House committee about the health of Earth’s oceans when he was handed a note informing him about the attack on the World Trade Center. The session ended abruptly as people instinctively scrambled for safety, not knowing that passengers on United Airlines flight 93 were taking brave actions that may have saved the U.S. Capitol from becoming a second Ground Zero. The Department of Defense has complicated relationship when it comes to authorities and cyberspace operations. Traditionally, the authority to conduct offensive and defensive remote cyber operations abroad has triggered an approval process that rests with the president and can be delegated to lower levels. However, despite the fact the military is maturing its cadre of cyber warriors within U.S. Cyber Command, Army leaders say tactical commanders want to control cyber capabilities on the battlefield given the nature of the trajectory of future wars. What's the one technology the Marine Corps Commandant wants more than any other for his riflemen? It wasn't an amphibious vehicle, more JLTVs, a new rifle or friggin' lasers. It is "a smart way to recharge batteries," Gen. Robert Neller told reporters. Neller had a long wishlist for the contractors assembled here for a National Defense Industrial Associationluncheon. “One of the top three,” he said, is MUX, a large scout/attack drone that can fly off an amphibious warship — i.e. not needing an aircraft carrier — to conduct Intelligence, Surveillance, & Reconnaissance (ISR), Electronic Warfare (EW), and precision strike. Some critics have worried about the size and cost of what will be, in Pentagon terms, a Group 4 or Group 5 Unmanned Aerial Vehicle, but Neller seemed willing to consider a big drone if that’s what it took to get long range: The V-22 Osprey tiltrotors taking Marine infantry ashore can fly 500 miles without refueling, he told reporters afterwards, and he wants MUX to match that.